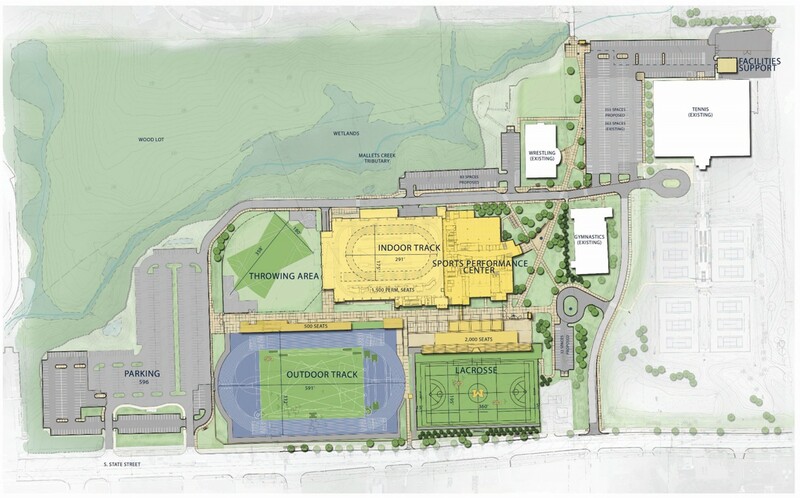 This project will construct approximately 280,000 gross square feet of space for the new Athletics South Competition and Performance Project to become the future home for men’s and women’s track and field, cross country, lacrosse, soccer, and women’s rowing. The project will include an indoor and outdoor track competition venue for 2,000 and 500 spectators respectively. In addition, a lacrosse stadium will be built on the site that will accommodate 2,000 spectators. A consolidated performance team center is more cost-effective to provide specialized team spaces and shared resources for strength and conditioning, athletic medicine, a performance lab, meeting space and locker rooms. When completed, the development will allow hosting of home, regional, and national competitions, and use by students participating in recreational sports.